On November 29th, Boston City Council unanimously passed a plastic bag ordinance that aims to reduce our reliance on disposable plastic bags. Stores will charge a 5-cent fee for each paper or sturdy plastic bag that they sell customers who come without a reusable bag. Despite eloquent statements by councilors Ayanna Pressley (at-large) and Tito Jackson (District 7) on the social justice impacts of plastic bags, some complain that the 5-cent fee is classist. Some of us are so destitute that a 5-cent fee is burdensome, but the solution is certainly not to encourage the use of more plastic bags, or even to declare amnesty month at the public library (those late fees add up). Isn’t the solution instead to get serious about structural changes to a society where some folks can’t even keep track of how many houses they own, while 2.5 million children each year experience homelessness? Who really benefits by making this manipulative argument? The American Progressive Bag Alliance, for one. 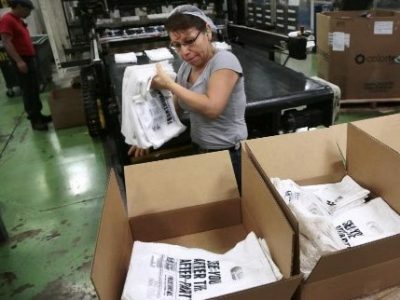 This industry lobby group spent millions of dollars in California trying to defeat a voter-approved ban on single-use plastic bags. They did not spend anything, to my knowledge, advocating for universal health care or affordable housing. While we quibble over a 5-cent fee, we are perpetuating the invisibility of workers. Who makes our plastic bags, and what price do they pay? The molecules that make up our plastic bags come from oil or natural gas, the extraction of which raises so many environmental justice concerns that I cannot begin to discuss them here. 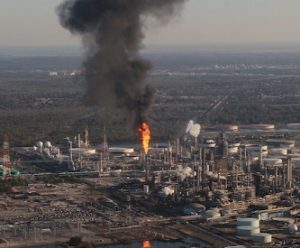 Next, the molecules are broken down in “ethylene crackers.” In the United States, these polluting facilities are concentrated in Texas and Louisiana, though at least 13 new crackers are under construction in places like Beaver County near Pittsburgh, Pennsylvania, as well as in Ohio and North Carolina. One such ethylene cracker operates in the 100% African-American neighborhood of Diamond, Louisiana, about 24 miles west of New Orleans. On this land in 1811, then called the Trepagnier Plantation, the largest slave rebellion in United States history took place. In 1916, Shell built an oil refinery there, and in 1953, added the ethylene cracker. The promise of good jobs, however, was illusory. Shell management passed over the Black sharecroppers and brought in white workers, who established the company town of Norco, (the New Orleans Refining Company), which remains 98% white. Accidents were not uncommon. In 1973, gas from a leaking Shell pipeline exploded, killing a 16-year-old boy and his elderly neighbor. Another explosion in 1988 left seven workers dead. In the fire that ensued, Diamond was choked by smoke that is estimated to have contained at least 159 million pounds of toxic chemicals. Even everyday operations expose the residents of Diamond to thousands of pounds of toxic airborne chemicals. Routine emissions, based on the company’s own records, include 1,3-butadiene, benzene, ethylbenzene, naphthalene, polycyclic aromatic compounds,styrene, toluene, and xylene. In response to strong local opposition, Shell has offered to buy out residents’ homes, but has not taken responsibility for the adverse impacts of its operations on the health of this fence-line community. The story of Mossville, Louisiana, is similar. Settled in the late 1700s by freed slaves, the entire town was displaced by the South African company Sasol in order to build an ethane cracker. From the cracker, our ethylene molecules need to be joined together into the long chains that become strong polyethylene film. Catalysts like TiCl3 (a combination of chlorine and titanium) are used for this purpose. Workers exposed to TiCl3 may develop reproductive problems. I can’t say what else polyethylene fabricators might be exposed to since much of this information is kept hidden from the public by trade secret laws. 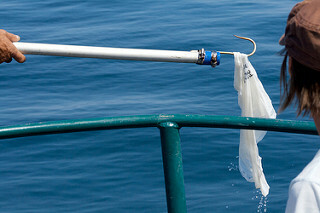 Much has been written about where plastic bags go after we throw them away, but the focus tends to be on the harm to the oceans and on the aesthetic concerns of litter. People with privilege have a long history of expecting others to clean up the messes that they make. What is life like for the workers engaged in trash processing, especially the informal sector waste pickers like the Dalit, and the communities that breathe the air around where trash is burned? The chain of hands that touch the plastic bags we use and toss stretches out in both directions far beyond the person standing in the check-out line. David Crary and Lisa Leff (November 17, 2014). New Report: Child Homelessness on the Rise in US. The Associated Press. Thank You for your essay. It’s helpful because of how you break it down.